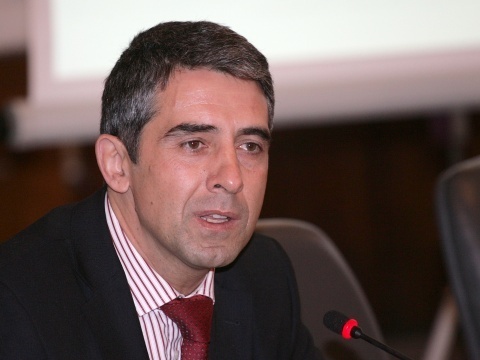 Bulgarian President, Rosen Plevneliev, is alarmed by the decision of the Supreme Judicial Council, VSS, to dismiss Miroslava Todorova, Chair of the Bulgarian Judges Association, BJA, and Judge at the Sofia City Court. Plevneliev made the comment in the Black Sea city of Varna, where he visited Friday the Regional Court to observe the vote for candidates for VSS. He said the alarm stemmed from the feeling and suspicion of bias the decision has inflicted. "Of course, as President, I cannot comment in detail the decisions of the VSS, but I reiterate that suspicions of unfairness are the next problem created by the old VSS in its last days," the Head of State explained. He gave the vote in Varna as an example and a source of optimism. Plevneliev voiced conviction that his visit at the second busiest Court in the country is emblematic and a symbol of the great hopes his institution bestows to the judiciary power. He stated that the Varna Court can serve as a role model to all others in Bulgaria, adding he was in awe by the way the vote was conducted. "If the vote happens everywhere in this manner, I am convinced the new VSS will do a great job and the judiciary will regain the trust of citizens," Plevneliev concluded.